Ok so I'm 10 days late but I wanted to make sure that I wished everyone a Happy New Year. May 2011 be better for all of you and may you be able to keep all your resolutions. 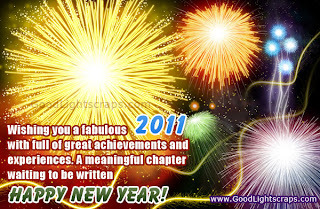 Thank you for your support in 2010 and may it continue in 2011.